Today we attended an accessories assembly workshop organised by the Integration Centre for Foreigners in Pardubice. It was arranged for mothers with kids, so there were plenty of toys in the room to keep them occupied while the ladies did their best at relaxing (my younger one still managed to attract my attention half of the time by her attempts of destroying one thing or another). 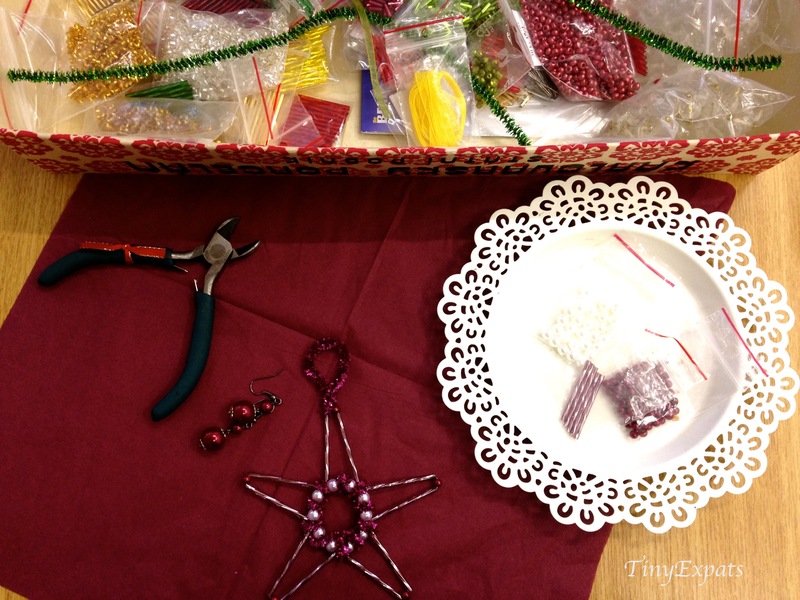 You could try your hand at making earrings or putting together some Christmas decorations. 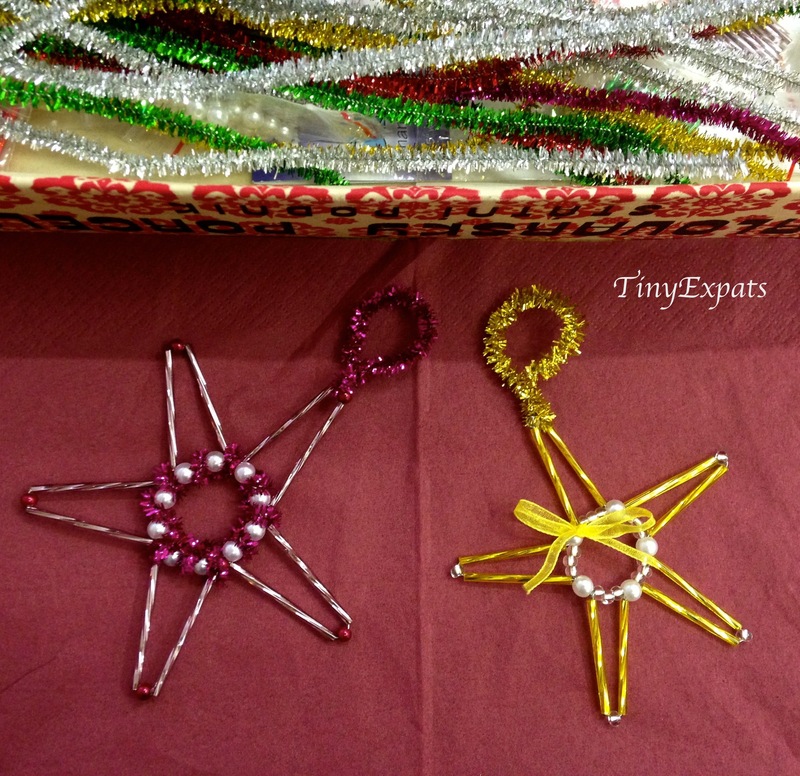 I rather liked the idea of making these stars – they were quite easy to make, so you can even do it together with your kids. Just a wire, some beads of different shapes, a bow or a thingy like a sparkling pipe cleaner (a very professional term, I know) and you can put together lots of different baby-proof ornaments.